There is nothing worse that leaving your spools, valves, and equipment in a storage yard unprotected, subject to mechanical damage as inventory is moved around, letting corrosion creep onto your flange face machined surfaces and into critical areas and unwanted debris into the interior of you parts. Corrosion is by far the toughest to stop in an unprotested area. Storage is necessary to keep the project flowing, but letting your parts corrode in the process is not. 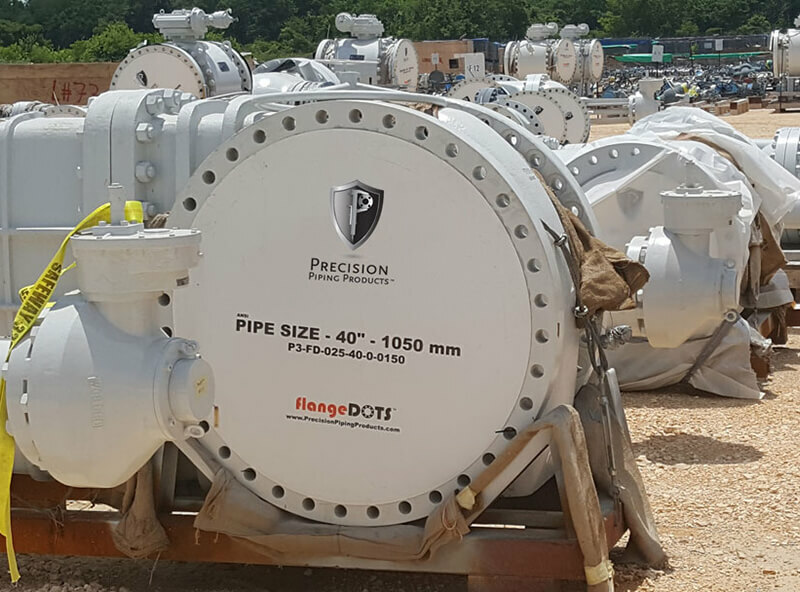 Our flangeDOTS® can be installed and left to the elements. When your part is due to be pulled from storage and installed, you’ll find that it is clean and dry, ready to use. Using our flangeDOTS® in conjunction with Seal ‘n’ Peel and our flangeBUMPER® results in the most effective and comprehensive level of protection that the industry has ever seen.